The new rules have inflated the market value of homegrown players. “There are British players who have done nothing in football, yet they cost millions,” former Sunderland coach Gus Poyet complained two seasons ago. Middling English clubs routinely charge exorbitant fees for their best homegrown players, because rising stars who satisfy the league’s quota requirements have become valuable commodities. In 2011, Manchester United spent 17 million pounds on Phil Jones, a promising but unproven defender with only 35 league appearances to his name. The consequences of this system are rather troubling. English players are now far too expensive to generate realistic interest from overseas. No Spanish club would spend nearly 20 million pounds on a teenage defender with limited professional experience. But Jones, whose bloody-minded work ethic and intense tackling don’t fully compensate for his technical shortcomings, might have benefitted from a season or two in La Liga. At least Jones has managed to earn a place in the United first team. In 2012, City spent about 25 million pounds on Jack Rodwell and Scott Sinclair, two exciting English youngsters widely expected to compete for national team spots. Despite their potential, however, Rodwell and Sinclair failed to break into a starting lineup jam-packed with elite foreigners. Instead, they spent some of the most important seasons of their careers, the years that were supposed to herald their emergence as top-flight talents capable of leading England to international glory, parked on the Etihad Stadium bench. It quickly became clear that City, which can afford to pay even its benchwarmers generous wages, was keeping them around primarily to meet the homegrown quota. 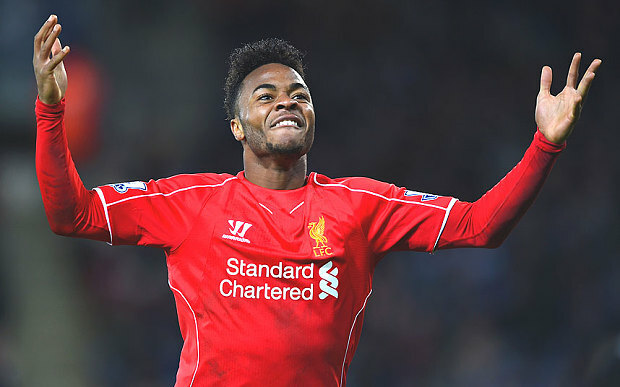 Sterling is a better player than either Rodwell or Sinclair. During his three seasons in the Premier League, he has accumulated dozens of goals and assists; alongside Luis Suarez and Daniel Sturridge, he established himself as a crucial component of one of the most exciting Premier League strike forces in years. But given City’s considerable attacking resources, Sterling could still finish next season on the ash heap of young, promising English players who struggled for game time at the Etihad. Spoke-n like a true bro. Couldn’t stop laughing when I read the title.